The Irrawaddy (aka Ayeyarwaddy) River is Myanmar’s most important waterway, it flows north to south and is sometimes referred to as the “Road to Mandalay”. For centuries the Irrawaddy river has played and important role in the economic development and has been used as the main means of transport for important trade routes between China and India. Until now the river is still the main route for trade transport and it is known as the bridge which connects the ancient city of Bagan to Mandalay. If you are visiting Bagan and are looking for activities other than visiting temples – a sunset river cruise or a sandbank sunset dinner party is a great way to pass the evening. During my time in Bagan I had the pleasure to enjoy several sunset boat trips along the Irrawaddy river. My favourite place to hire a boat is from a friend who owns and operates Bagan Boat Trips at the Fantasia Garden & Jetty in Old Bagan. The rates are great it’s best to make your reservation in advance. Meet at the Jetty around 4pm to enjoy a drink before you depart for your sunset boat ride. The homemade lemonade is refreshing and they have beer for you to buy as well. Here’s a video of our cruises along the Irrawaddy river with Bagan Boat Trips. Should you wish to enjoy a sunset dinner on one of the sandbanks along the river that’s also possible too. Contact me to book a private dinner or cocktail hour with tasty appetizers. Another great option for cruising the river and exploring Myanmar is The Strand Cruise Ship, a intimate luxury cruise ship that offers two to four night cruises along the Irrawaddy River carrying a maximum of 50 passengers. Located on board you will find a lovely swimming pool, fitness centre and wellness spa. Guests will be spoiled with luxury service and meals. Daily shore excursions provide an in-depth immersion to the wonders of Myanmar. The two and three night cruises start in Mandalay and the four day cruise debarks from Bagan. We had a tour of the ship and my husband arranged a surprise dinner for us with the hotel manager, it was the best meal I had during my five months in Bagan! Contact me at any time to book your trip to Myanmar and include a cruise along the Irrawaddy River. 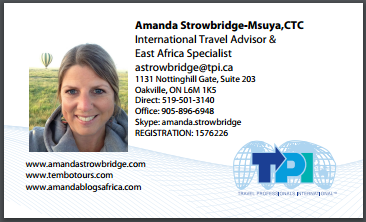 Email Amanda at astrowbridge@tpi.ca or call 519.501.3140.